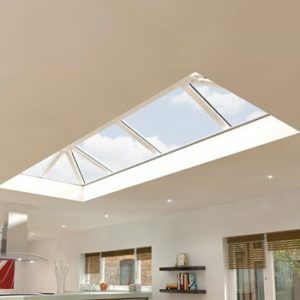 The Skypod is the perfect way to add elegance and additional light to interiors. They are designed specifically for fast and simple installation. The Skypod requires only square cuts with no mitring or awkward angles to negotiate. All screw holes are pre-drilled, making the whole job as quick and easy as possible. They provide the perfect match to existing PVC-U windows and doors while achieving exceptional U-values as low as 1.0. Why Choose TK Windows & Doors? 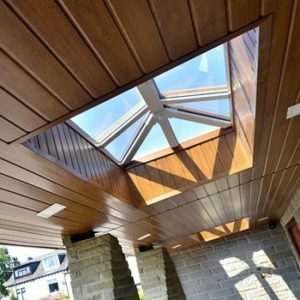 Not only do we boast the most spectacular range of skypods in the UK, able to deal with all requests, but we also have over 50 years combined experience within the industry, meaning that we know what we’re doing. If you are looking for a high quality skypod, with high quality installation and service – We’re only a phone call away.